As entrepreneurs, how are we going to represent Jesus in the market place where we are most likely going to see things from a secular business perspective? Join us today in another insightful and relatable discussion with a previous guest who inspired us to discover our inner potential, believe in ourselves, and become a great individual despite our brokenness. Let’s journey with him and witness how he patiently listens and obediently follows God’s calling. Justine Knapp, the CEO of The Space Together has focused his entire life looking for his purpose to accomplish his ambition of working with people. His destiny seems to unfold in front of him as he grew up and he realized that all the things that happened to him were a part of a divine plan that God prepared for him. At first, everything started to him as a joke of finding one’s purpose through God. But as time passes by, he came to think of the limitless possibilities that God has in store for him. Get to know his journey and be inspired by how we could all be a living manifestation of God’s plan and intervention. 239 Scott Carter | You Got This! CLICK HERE for resources from our conversation with Roy. How To Stay True To Who You Are to Obtain Success, Balance and Fulfillment. CLICK HERE for resources from our conversation with Lisa and Paula. Unleashing Your Leadership is a new podcast from our dear friends at Pinnacle Forum. 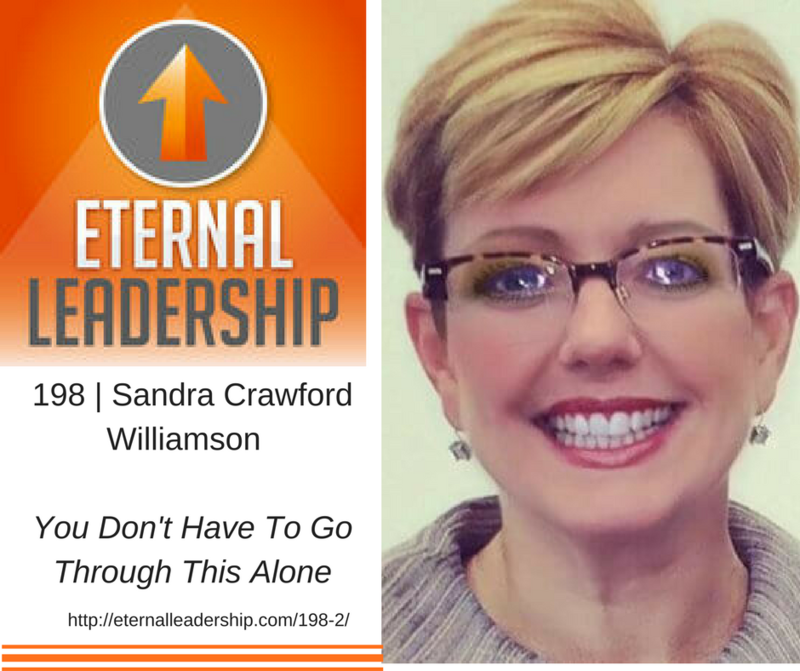 They were so instrumental in their early support and assistance with our Eternal Leadership launch almost 4 years ago, we want to help them get the word out. Please help us by Subscribing, Rating/Reviewing and spreading the word. CLICK HERE for resources from our conversation with Gary. CLICK HERE for resources from our conversation with Diane. CLICK HERE for resources from our conversation with Chris. CLICK HERE for resources from our conversation with Kare. CLICK HERE for resources from our conversation with Chuck. 201 Garris Elkins | Is the Church Even Relevant in Today's Society? How Do We Operate in the World As Believers with People Who Have Completely Different Belief Systems? CLICK HERE for resources from or conversation with Garris. CLICK HERE for resources from our conversation with Kevin. In this episode, Tina passionately shared her insider knowledge of what goes on behind the scenes of Hollywood's projects. She also revealed how some celebrities are doing a balancing act between what they do onscreen and how they are the complete opposite when they are at home with their kids. CLICK HERE for resources from our conversation with Tina. CLICK HERE for resources from our conversation with Allen. 196 Allen Arnold | Are You Acting Out of Love... Or Out of Fear? CLICK HERE for resources from our conversation with Wade. Craft Your Company's Vision and Manage Your Team Effectively. CLICK HERE for details from our conversation with Scott. CLICK HERE for details from our conversation with Katy. Culture, trust, relationship and communication military mindset. CLICK HERE for details from our conversation with Chris. Time-honored principles and disciplines of leadership. CLICK HERE for details from our conversation with Gene. How to create happiness in the workplace. CLICK HERE for details from our conversation with Kris. Master your life and turn your mission into millions. CLICK HERE for details from our conversation with Jay. CLICK HERE for details from our conversation with Dave. An Inspirational Guide On How To Enjoy The Journey of Leadership. CLICK HERE for details from our conversation with Robb. The key to transforming your life and leadership. CLICK HERE for details from our conversation with Ford. CLICK HERE for details from our conversation with Ted. CLICK HERE for details from our conversation with Dr. Phil. CLICK HERE for details from our conversation with Os. CLICK HERE for details from our conversation with John. CLICK HERE for details from our conversation with Bobby. CLICK HERE for details from our conversation with Jeff. CLICK HERE for details from our conversation with Russ. Pursue healing from sexual brokenness. CLICK HERE for details from our conversation with Dr. Juli. Reaching more people by serving God through our work. Get in touch with your God-based identity. CLICK HERE for details from our conversation with Luke. CLICK HERE for resources from our conversation with Peter. CLICK HERE for resources from our conversation with Kim. Brave your fears and achieve the impossible. CLICK HERE for resources from our conversation with Greg. Adapting a new paradigm for time and money. CLICK HERE for resources from our conversation with Sharon. 171 Dean Niewolny | Trade Up: Do you crave work that matters?